Here is the list of "Top Rankers in Professional Communication" skill, who has shown an outstanding performance in "Professional Communication Certification Test" from Sanfoundry and have scored either Grade A* (Genius) or A (Excellent) and earned a "Certificate of Merit" for themselves. Certification on Professional Communication is substantially useful for everyone in their Professional Career growth. They can readily showcase their certified skill on Professional Communication topic during job interviews, career discussions and career progressions. We have also listed down the names of all the people who have taken our Professional Communication Certification Test and have passed the test. So, scroll down the list below and check your position. The list is arranged in descending order of overall marks obtained by the candidate in the test. In case you would like to attempt all types of tests (Practice Tests, Mock Test) or read 1000 Questions on this topic, you can start here or here respectively. Here’s the feedback from Top Rankers in Professional Communication. Sanfoundry Certificate Test was quite decent. Questions ranged from fundamentals to moderate to tough. It was a very informative and logical experience. It helped me to brush up my skills in Professional Communication. I exercised with a series of Practice Test and Mock Test to clear the Professional Communication test. Professional Communication certificate from the prestigious Sanfoundry will boost my CV, which will help me a lot in my near future. 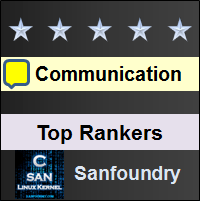 Sanfoundry Certification test was gratifying and excellent way to develop conceptual knowledge. The test was on Professional Communication subject hence I referred to various books related to it. Sanfoundry certificate would be helpful in making my resume strong. Hence a great thank you to Sanfoundry for providing free tests. The Sanfoundry Certification Test was good. The questions were properly set in order to test the skills. Overall the experience was great and I would love to give these tests to improve my skill. Sanfoundry certificate is very valuable to me. It is a symbol of my hard work and my determination towards my test. Sanfoundry certificate will help me in different interviews as well as help me in achieving my goal. My experience giving the Sanfoundry Professional Communication Certification Test was quite good. The level of the Professional Communication questions ranged from basics to moderate. I had prepared for the test. I had appeared in the practice tests as well. That really helped me to clear and revise the basics. Sanfoundry certificate is very valuable. This will be like an achievement for me. Being able to communicate effectively is the most important of all life skills. A company hiring a person looks for good communication skills in him. As an engineering student, being certified in Professional Communication from Sanfoundry can be a highlight in my resume.